Miss Berry writes about Estelle Whitfield's death and her hope that they could endow a day in her memory. She also writes about her niece's wedding to Prince Chiga. 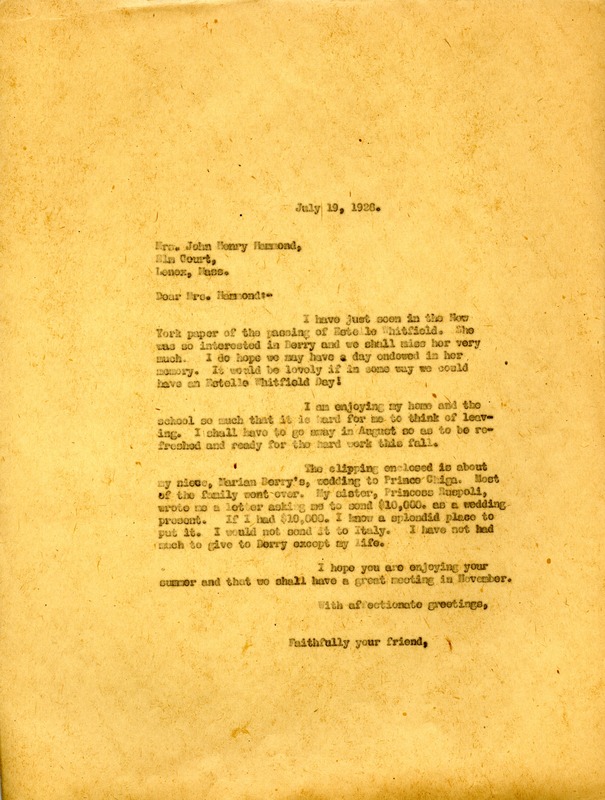 Miss Martha Berry, “Letter to Mrs. Hammond from Martha Berry.” Martha Berry Digital Archive. Eds. Schlitz, Stephanie A., Rachel Renaud, et al. Mount Berry: Berry College, 2012. accessed April 25, 2019, https://mbda.berry.edu/items/show/7730.